Politics: Much analysis is being done – and will continue to be done – about the U.S. Presidential election. I had heard leading up to November 6 that if Gov. Romney was to win, he would have to do it with the largest percentage of white voters in recent history. While he did not win yesterday, the ethnic breakdown was stark and is causing much consternation in conservative circles. Whites, and especially Evangelicals, reports say, voted over 80% for Romney. It is almost exactly the opposite (some reports say as high as 93%) of Latino voters went for Obama. My only point is that if you think that the election of a Black president makes this a post-racial country, you have another thing coming. Race is still an issue and will continue to be an issue as we move to 2048 when Whites will not be a majority in America. How will we lead? How will we transition? How will we hear new voices? So with all of that concern and consultation, how did they make this big of a blunder? To put as much effort and money into making an elaborate music video … and not to think “hey – this might not be cool” … is shocking. But yet it happens all the time in a fairly predictable pattern. This is why I am constantly talking with Randy Woodley about the idea – whether it is sermon illustration or music video – that within a consumerist society, everything is simply another esthetic – brand – label – style. Nothing is ‘real’, it is merely style. This is not going to go away until we address the given structures – whether in the areas of politics, entertainment, economics or religion. TV: in this month’s Pacific Standard magazine, the question is asked “The Safe Race: are South Asians the new ‘model minority’ of American entertainment?” The article focuses on the amazing rise of actors and personalities of South Asian (mostly Indian) ancestry. 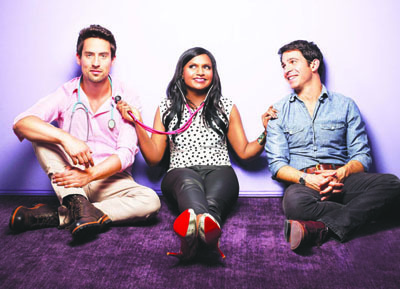 We have moved from a decade ago when the only representative was the cartoon Apu on the Simpsons (whose voice came from a white actor) to today where CNN chief medical correspondent Dr. Sanjay Gupta, the Daily Show’s Aasif Mahndvi, Top Chef’s Padma Lakshmi and – perhaps with highest profile – from Office and now The Mindy Projects Mindy Kaling. This would be a great conversation to have because it may give us an entry point to some the notoriously elusive matters of race and Orientalism that we so desperately need to address in our age. while the team lacks as many African-American players as most other squads, the Timberwolves are still quite diverse. Five of their ten white players were born outside of the United States. I bring it up only to say that in an increasingly globalized culture, we may have to find new way to talk about ‘race’ as a category because skin color is only going to get us so far.